Bhaja Masala makes a great seasoning or condiment to keep on hand. 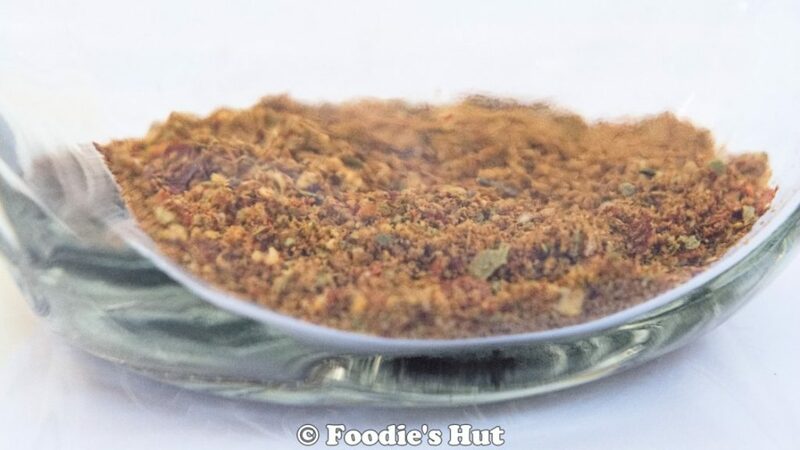 This is a toasted spice blend often used in Bengali recipes and Indian recipes. This is mostly sprinkled on top to give the finishing touch to the dish. Let me just admit, this is one of my favourite condiments. I could sprinkle it on just about anything, from- Potato chaat, Ghugni, Kumror Chokka, Radha ballavi and more! 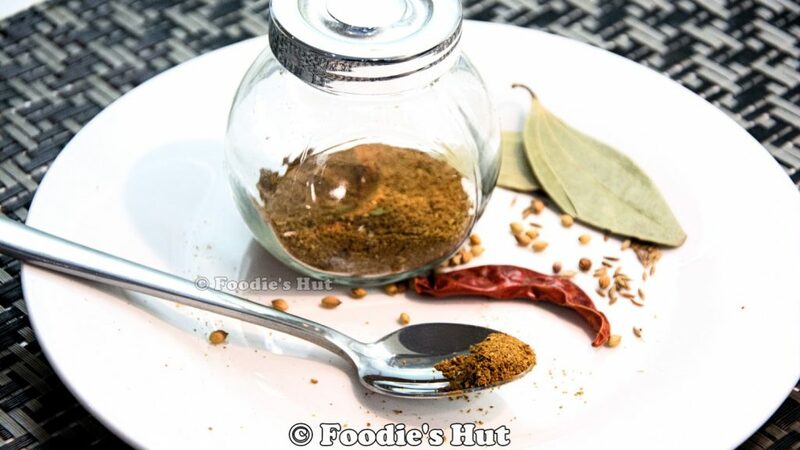 This recipe has many variations, the common ingredients are Cumin seeds and Dry red chillies. Personally, I make two types of Bhaja Masala to use in my Bengali/ Indian dishes. The first type of masala I mostly use to season the dishes like Aloo Dum, Tomato Chutney, Amer Chutney Pickles, Dahi Bada , Chaat. The second type of masala I mostly use to season Ghugni, Aloo kabli, Chhola makha, Radha ballavi, Karaishutir kachori these type of dishes. As I always say, I rely on my leftovers more than takeaways. On a busy day just reheat your dish and serve. Now here is a tip! You will notice that when you reheat your leftover fish stew, it release a fishy smell. If you add a little bit of Bhaja masala in the curry, it will taste better. Here is my Bhaja Masala recipe. Give it a try! If you love the dish or any other dishes from this website, please take a picture and share on any of my social media platforms (Facebook, Instagram, Twitter) using #foodieshut. Preheat your Tawa or pan over medium heat. Transfer all spices on the preheated pan and heat the spices on a single layer. Reduce the heat to medium-low and stir for a couple of minutes, about 4-5 minutes or until you will get a nice toasted aroma from the spices. Make sure your spices should be toasted not burnt. Then remove the pan from the heat. Except for red chilies, transfer all spices to a plate and let the spice mixture cool. Keep the chillies to the hot pan, because I have seen dry chillies take a longer time to toast. You want your spices to cool before grind. transfer them to a spice grinder and grind. Transfer it to a glass container, put the lid on, keep it in your spice rack. you can store this blend for 2-3 weeks.